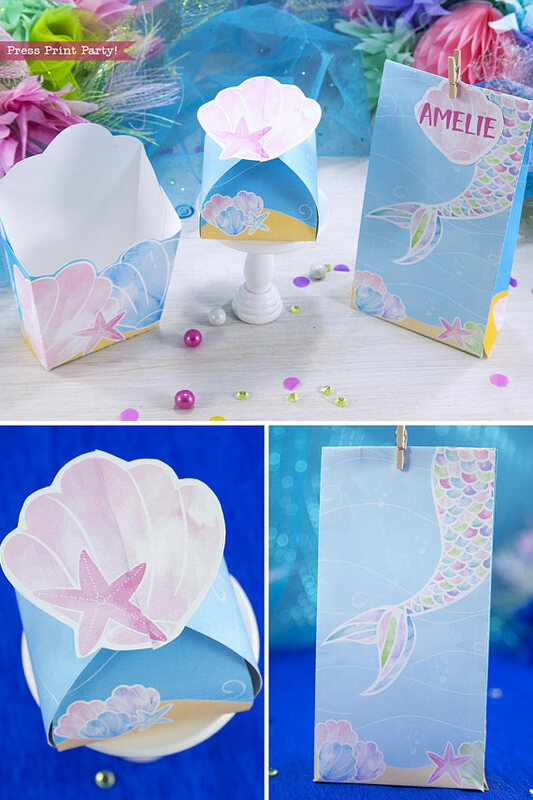 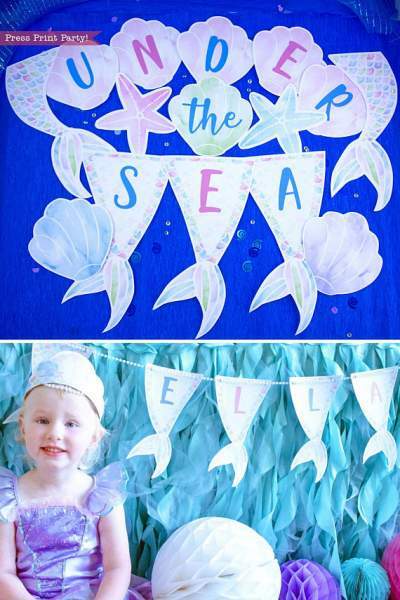 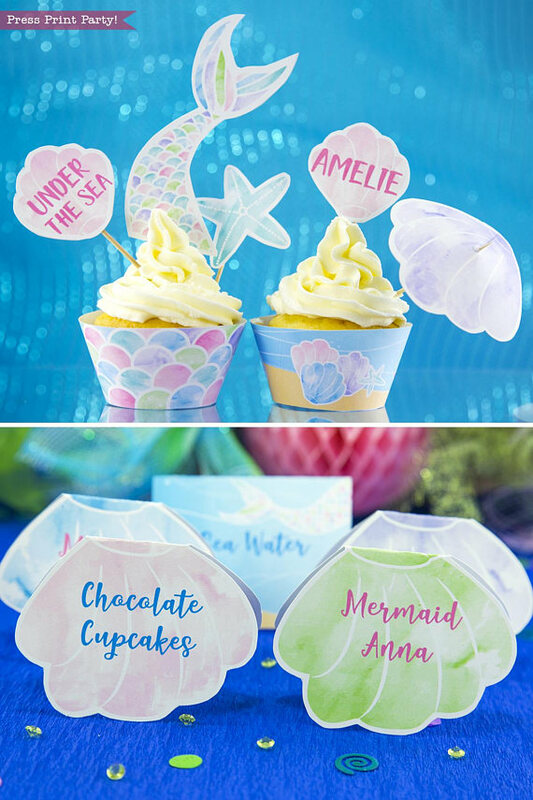 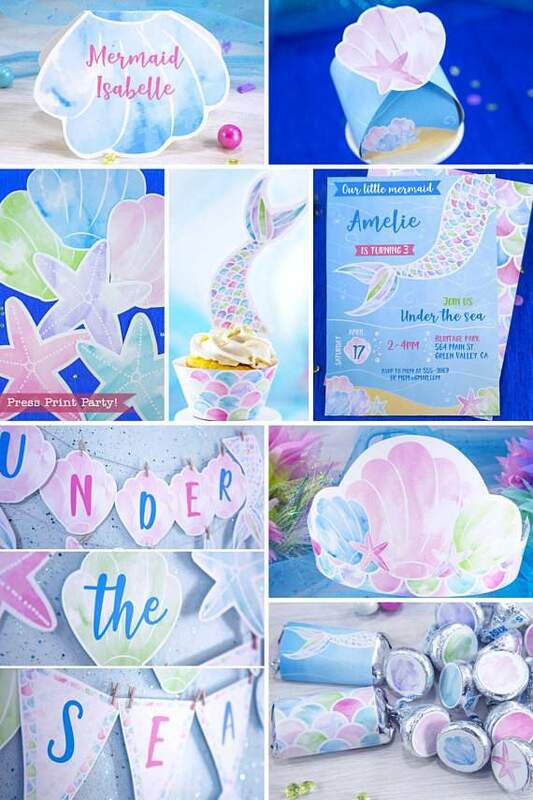 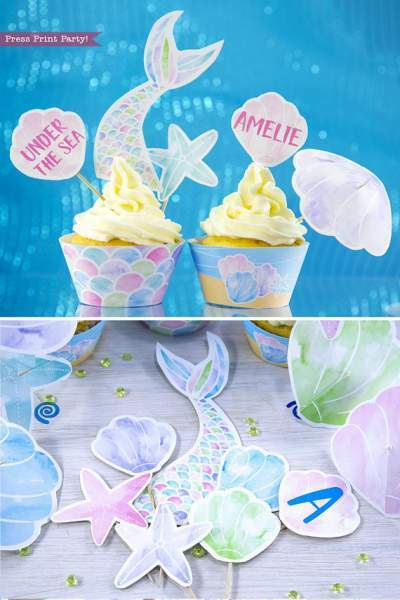 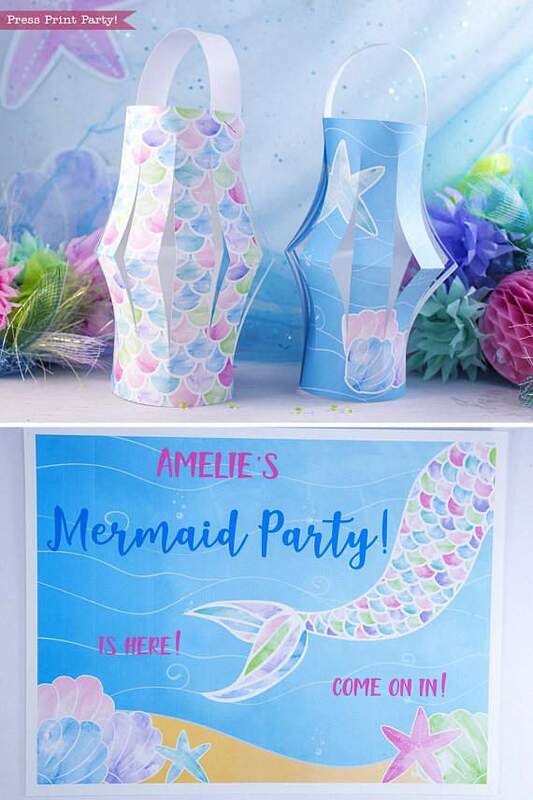 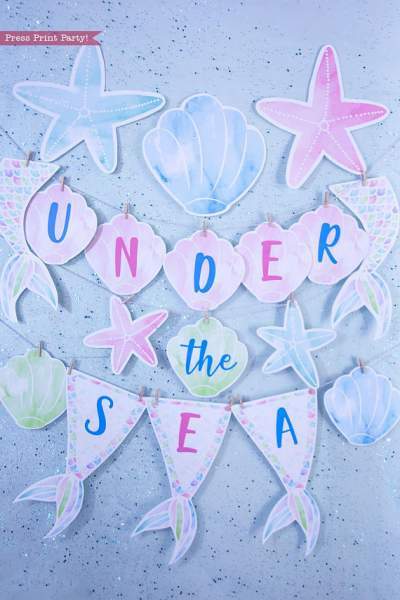 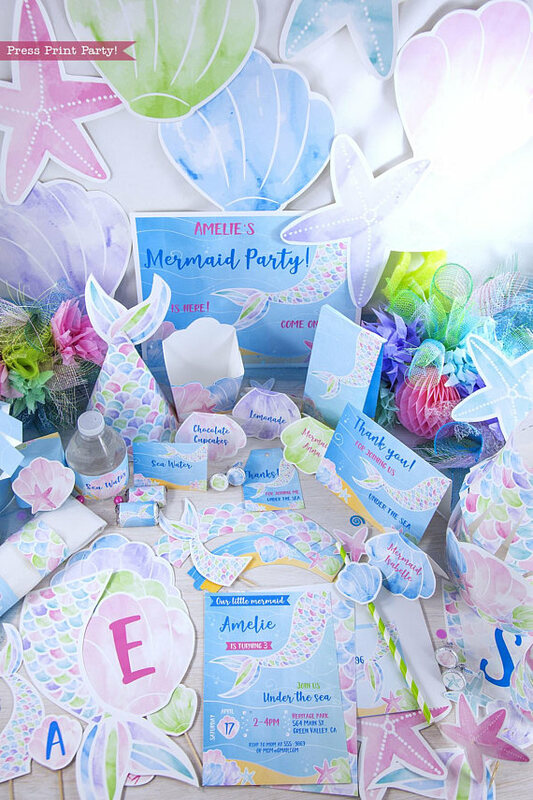 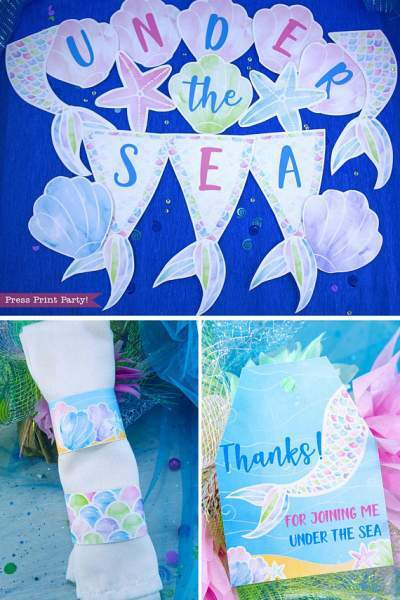 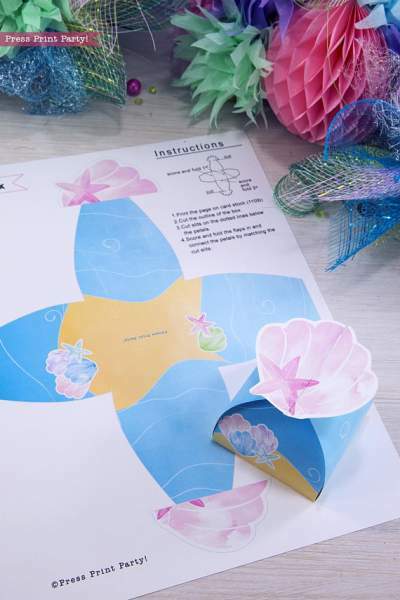 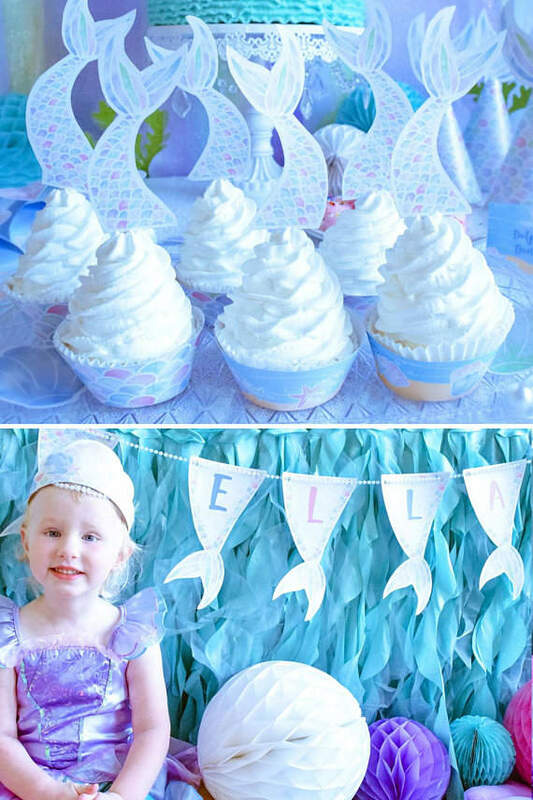 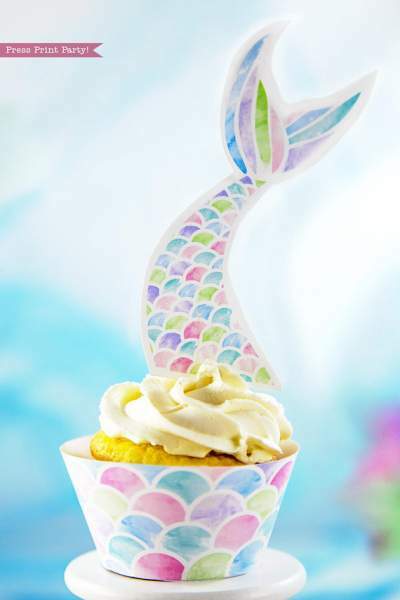 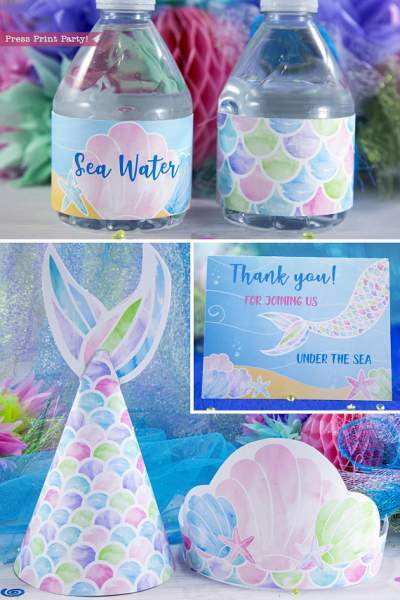 Make a big splash with a mermaid party under the sea. This set comes with everything you need for a splashing mermaid party. 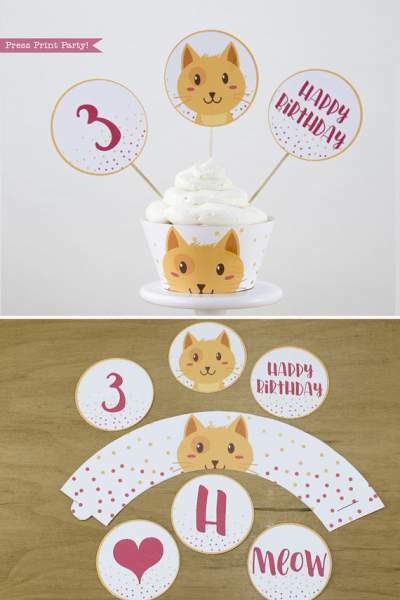 No more stress trying to find all the perfect decorations. 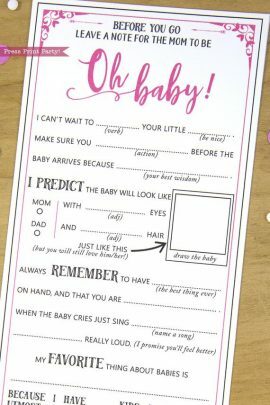 All the text is editable. 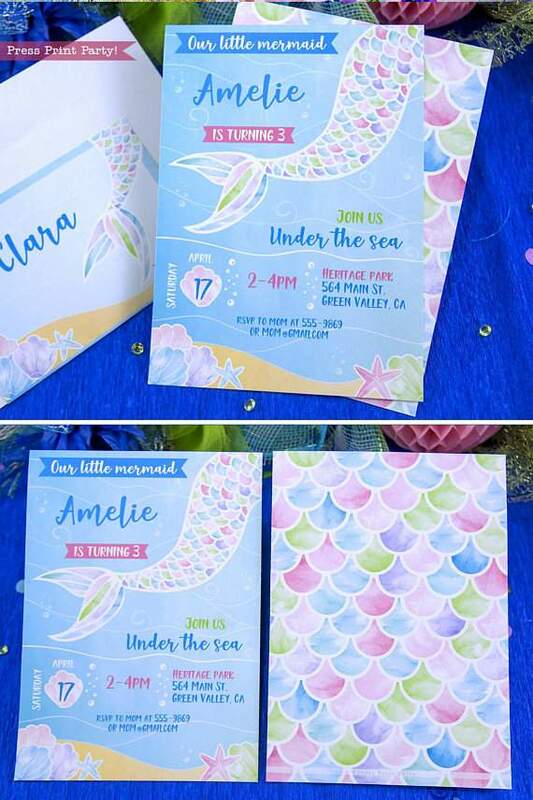 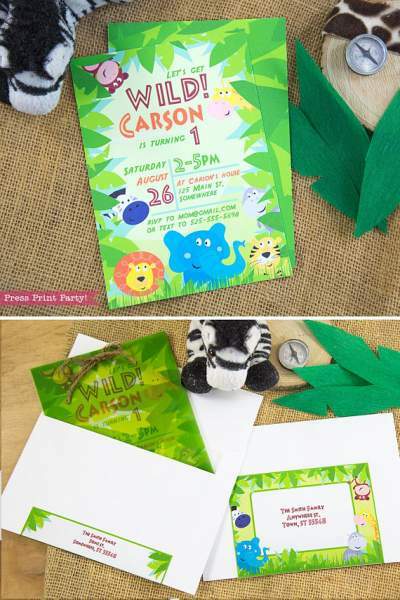 Add real style to your event by sending a custom invitation and following up with matching decorations. 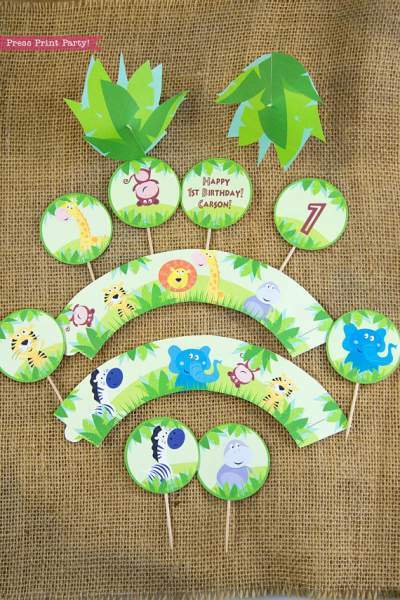 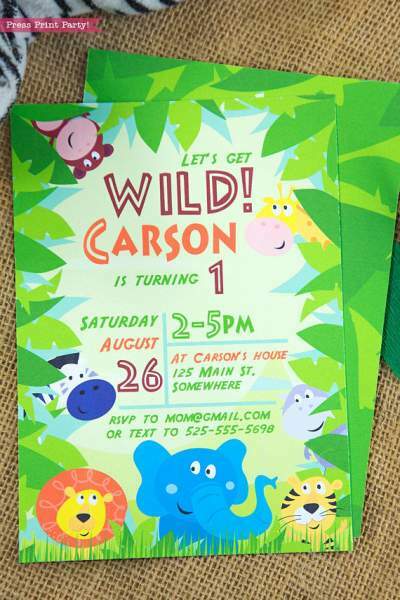 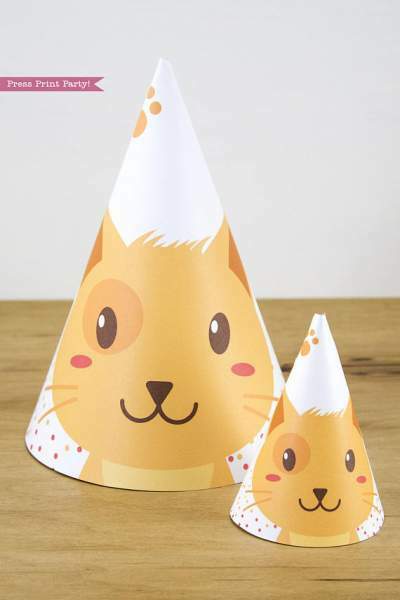 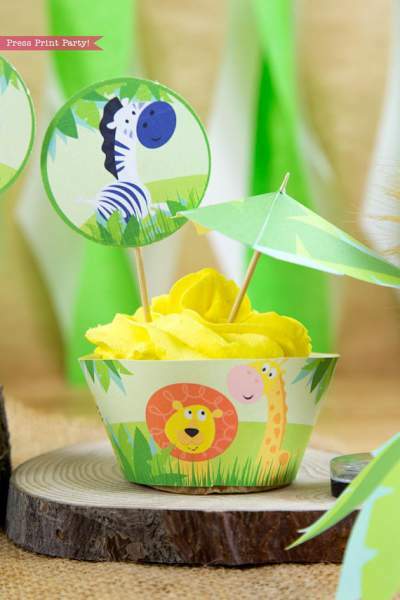 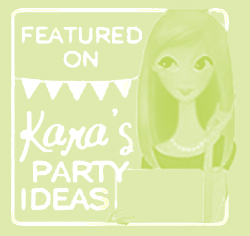 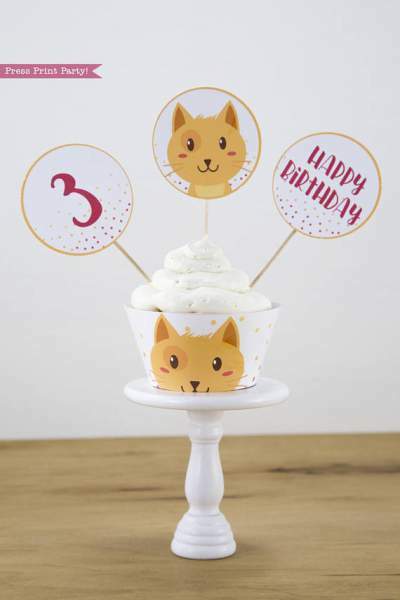 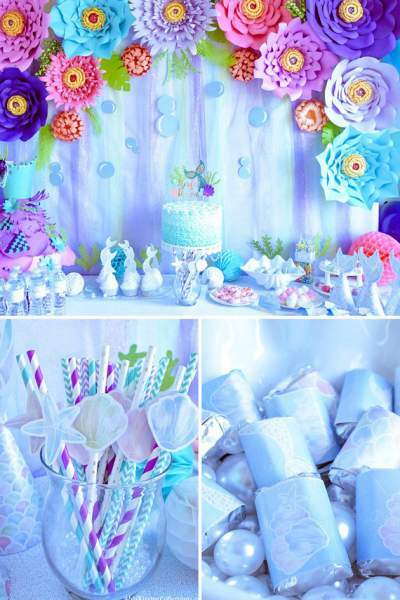 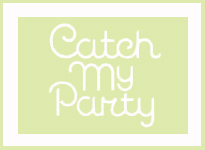 It’s a perfectly enchanting and fun theme for your little one’s birthday party! 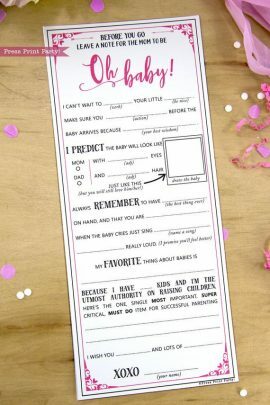 Print as many as you like for one low price! 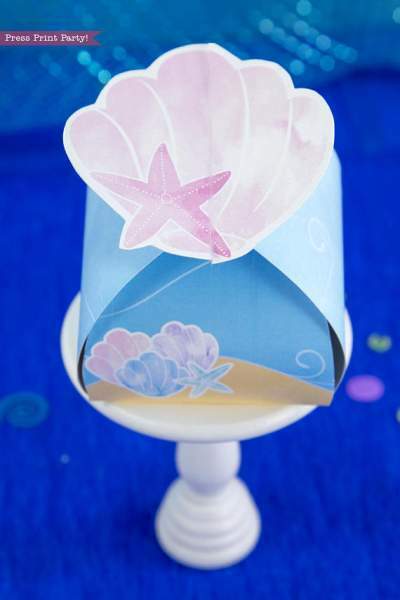 ► Interlocking shell favor box – 2.5″ square base, 2″ tall.